We offer several areas of service outside the industry norm which differentiate us from the competition. We believe our expertise in all areas of computer electronics technology to be of the highest standard found anywhere in the world. We also plan to be the first company to bring you new products and services in our region as they become available and affordable, with pride in our work and excellent customer service options. 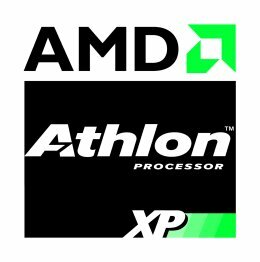 Over a decade of expertise in the assembly, repair,upgrade and networking of computer equipment. The best available rates on parts and services, because of our low overhead and industry connections. Over a decade of expertise in service center operations, telephone technical support opreations and fast, reliable on-site services. Home theater systems, satalite/cable and PC based media servers. Home office automation and security options based within PC technologies. Portable equipment WI-FI or Satalite, LAN/WAN management, work from home VPNs. -- Consultations - Getting together with you and your exsisting equipment to find out your specific needs, your current setup, and your future plans, to ensure we give you exactly what you want. -- System Design - We can design custom computers, networks, home theaters, and a never ending list of new integrations including automation, security and communications equipment for you. -- Sales - We use many sources to get parts and/or whole systems for you at the best price. We are reseller partners of Intel, ATI, Asus tek, AMD, Soyo & Microsoft products to name a few direct markets. We will also use various chains like Staples or Online Companies to obtain the best deal for you up to the date of purchase. Most products can be obtained today, or overnight, and at most within a week. This short delay can save you and us money versus keeping inventory.